Join us Saturday morning for a 3 mile run around campus before a day full of tailgating & football. 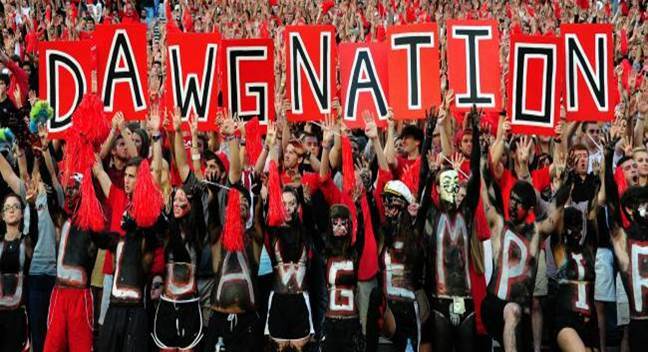 We'll run across Sanford Bridge and through tailgate central so be sure to wear your red & black to show your support for the Dawgs. We'll spend the afternoon tailgating in front of the store with the grill going full force. Stop in the store for some great deals too!